2016 was a devastating year for our Limu Hui. September marked the one-year anniversary of Uncle Henry Chang Wo’s passing. 2016 also saw the passing of Uncle Allen Kaiaokamalie, Uncle Eldean Kukahiko, KUA Board member Ernie Cruz Jr. and most recently the passing of Heʻeia’s Uncle Jerry Kaluhiwa. Deepest condolence to Aunty Rocky and the entire Kaluhiwa Ohana. 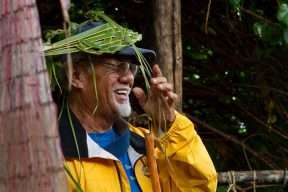 Hawaiʻi has lost a living treasure. 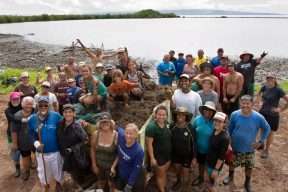 In the last few years, our Limu Hui has generated a lot of interest in limu growing and limu restoration efforts. 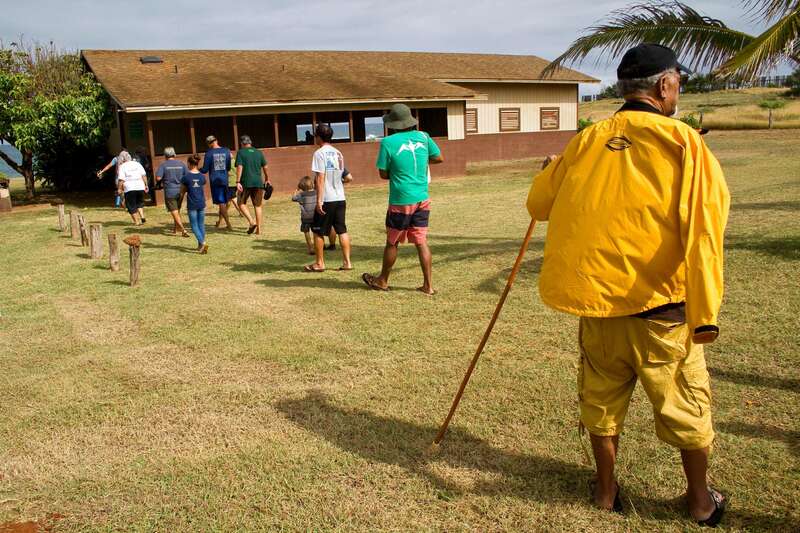 We go around the paeʻaina to educate people about the importance of limu to the nearshore environment and its importance to the Hawaiian culture. Our message has not gone unheard. When we talk about limu being the base of the nearshore marine food chain, people begin to realize that in order to restore our fish stocks we need to restore and maintain our limu beds. Several small organizations and a few individuals have started limu restoration efforts. Our Limu Hui support these efforts in any way we can. We are, however, not the first to do this type of work. 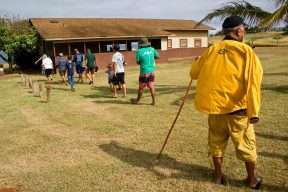 Long before the Limu Hui was formed and long before many of us were even aware of the need to protect our limu beds, Jerry Leroy Mahilani Kaluhiwa predicted the decline of limu in Kaneʻohe Bay, Oahu. Unlike most people who just sit and complain about the need for somebody to do something, Uncle Jerry stepped up to do something about it. 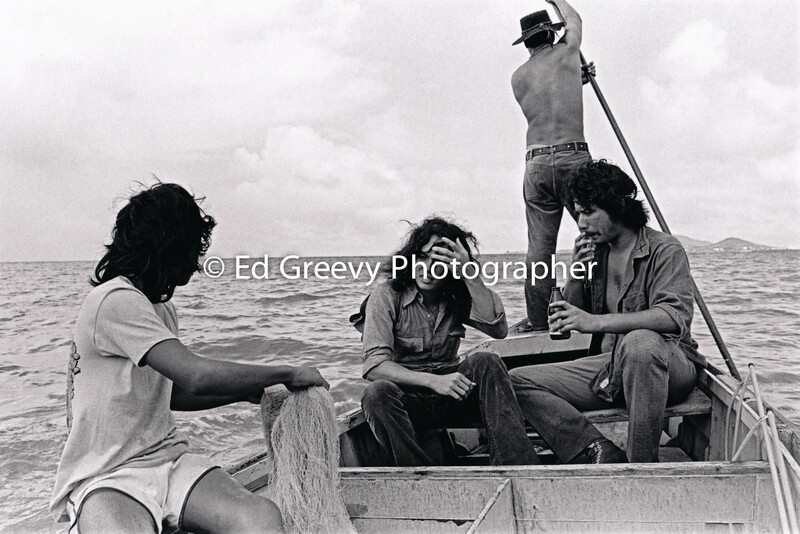 In the 1970s, he started The Limu Project, seen in the video below, with support from KEY Project and local funders. The inspiration for my favorite song, “Ka Uluwehi O Ke Kai,” Uncle Jerry was a great visionary, scientist, ecologist, educator and loea limu. 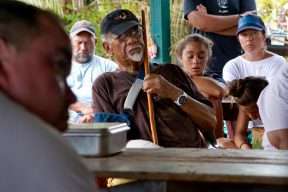 Uncle Jerry also was an official guardian of the bay in his role on the Kane‘ohe Bay Advisory Council, reporting regularly to the local neighborhood boards on issues affecting that natural resource. He shared his knowledge of limu with others, including local Cub Scouts, and continued to be active in the community in many ways. We are very grateful for Uncle Jerry and Aunty Rocky’s contributions to our three-year-old Limu Hui network. They inspire us to continue his legacy of limu restoration efforts. Aloha my friend ~ Wally Ito. A celebration of his life is scheduled for Friday, January 27th 8:30 am to 12:30 pm at St Ann’s Catholic Church in Kaneohe. 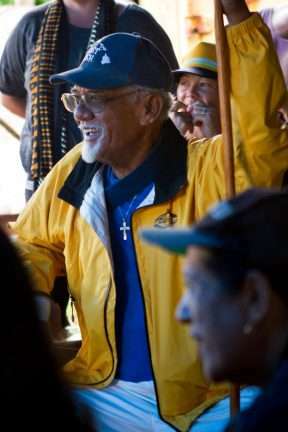 Scattering of ashes (return to his beloved Kaneohe Bay) will be at Heʻeʻia Kea boat harbor (parking at his residence 46-620 Kamehameha Highway, Kaneohe, HI 96744) on Saturday, January 28, 12:00 noon. More info here. Mahalo to Carol Chang for her contribution to this story. This entry was posted in Limu Hui, Uncategorized. Bookmark the permalink.